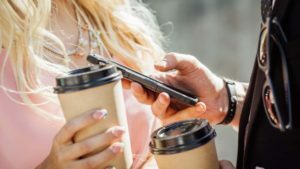 Just when you thought you wouldn’t see another version of Internet Explorer this side of the next ice age, Microsoft hits the world with a totally new release of its almighty browsing app. 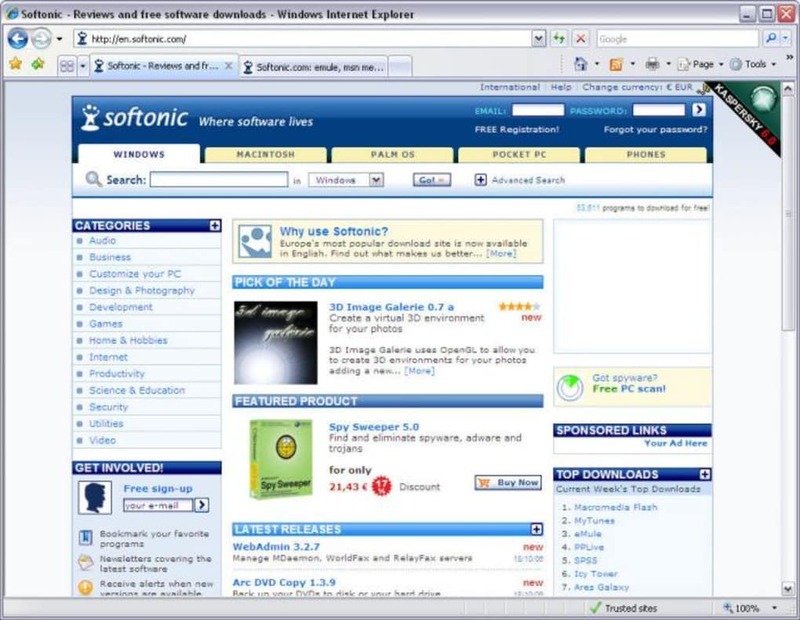 It’s been so long in the making that many web users have got fed up with waiting for Microsoft to update its technology and have looked elsewhere – mainly in the direction of Firefox. Now the big, bad king of the browser world is in no mood to see its crown wrestled away, but can it do enough to win back its deserters? For starters, the new streamlined interface is definitely an improvement. Microsoft has basically stripped back the menu bar and hidden all of the tools and functions within a set of compact icons, placed subtly at the top-right of the interface. It allows you to see pages in a very large viewing space. 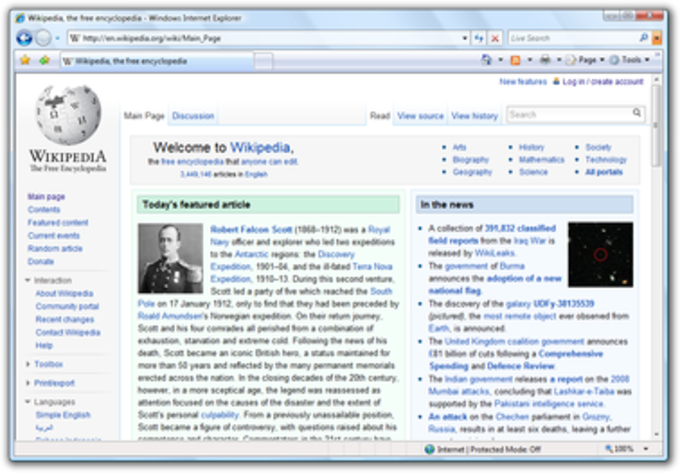 IE has also finally decided to support tabbed browsing. It includes a ‘New tab’ button for instant opening, plus an ingenious ‘Quick Tabs’ button, which opens up thumbnail previews of all your opened tabs in one screen and, unlike Firefox, IE 7 actually has a close button on each tab. You can even save groups of tabs as your homepage so they all launch upon start-up. We also appreciated the print preview tool, which adjusts the page according to your paper size. IE 7 has improved the way it integrates RSS. Whenever you come across a site that supports RSS, the icon in the toolbar will turn its characteristic orange. Click on it and you will be lead to a page that reveals all the feeds for that website. Just click on the “subscribe to this feed” link to add it to your favourites. You can also subscribe by clicking on the small star icon on the left. Unlike Firefox however, there’s no drop down view of each item in a feed. The Favorites Center, opened up by clicking on the big star icon, is divided into favourites, feeds and history. Security is usually one of the characteristic weak spots of IE. Apart from a pop-up blocker, version 7 also dishes out an anti-phishing filter. To give it a try, we opened up known phishing sites published on Phishtank. To our disappointment, the filter failed to report most of them. Phishing protection may not be IE 7’s strength but at least the browser incorporates security protocols SSL 2. 0 and 3. 0 and TLS 1. 0, just like Firefox. For all its improvements, IE is still far from perfect. Like Firefox, IE fails to pass the Acid2 Test and does not even support the latest standards. We found IE to lag and drag whenever opening up new tabs, the tools section and applying new settings. 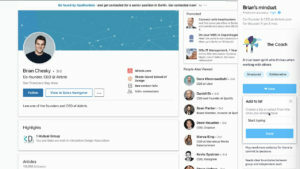 You can add a good number of search bar providers and add-ons from the Microsoft website, however they are still in much fewer number compared to the Mozilla extensions for Firefox. 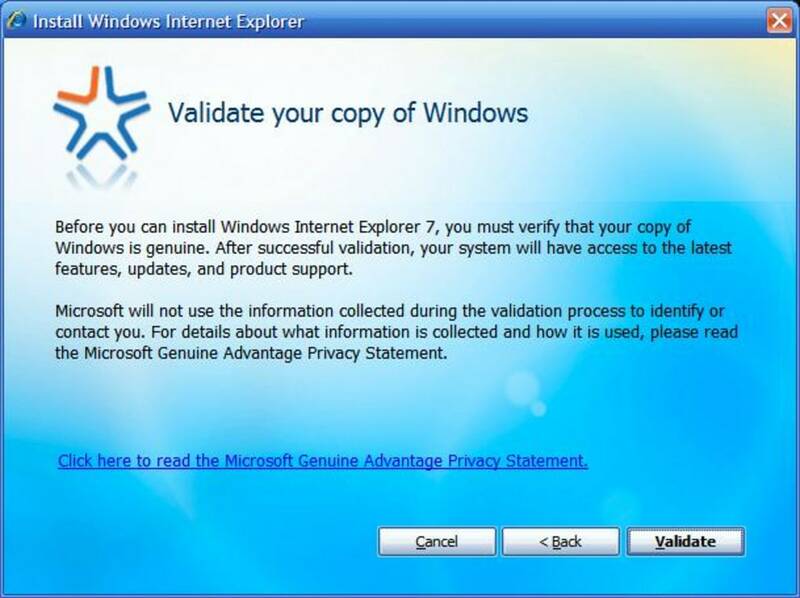 Furthermore, IE 7 is actually limited to those of you that have XP SP2 and for some reason you will need to disable your antivirus and restart your PC to properly install it. As the most popular browser on the planet, Internet Explorer provides a flexible and reliable browsing experience with enhanced Web privacy features for all Windows users. This new release contains a wealth of new features, designed to help you surf the web quicker, easier and more securely. A redesigned, streamlined interface gives you more of what you need and less of what you don't. The new look maximizes the area of the screen that displays the webpage. 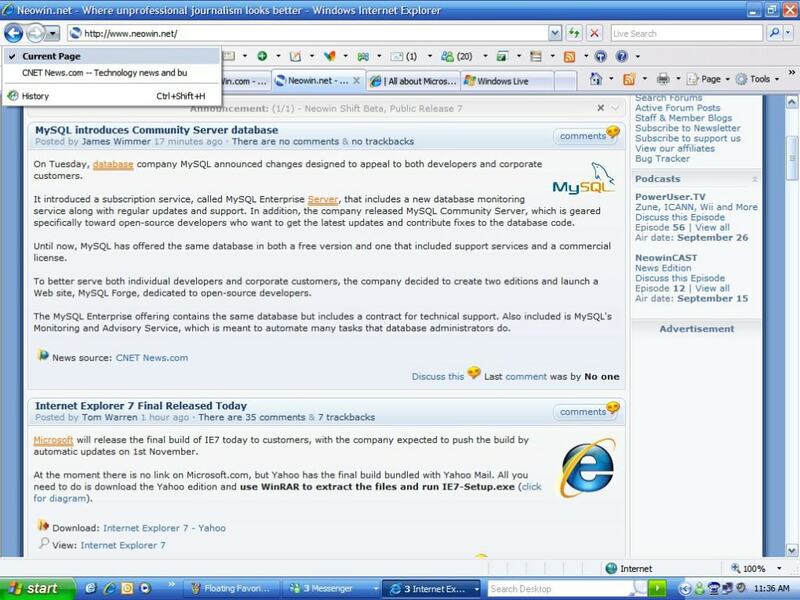 Open multiple websites in one Internet Explorer window with tabbed browsing. 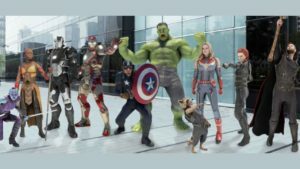 See thumbnail images of all open tabs in a single view. Organize multiple tabs into a single tab group and save it as a favorite. IE 7 automatically shrinks text for improved printing , so all webpage content fits on your final printed page. Print options also include adjustable margins, customizable page layouts, removable headers and footers, and changeable print space. Tired of looking for the latest news and information on the web? 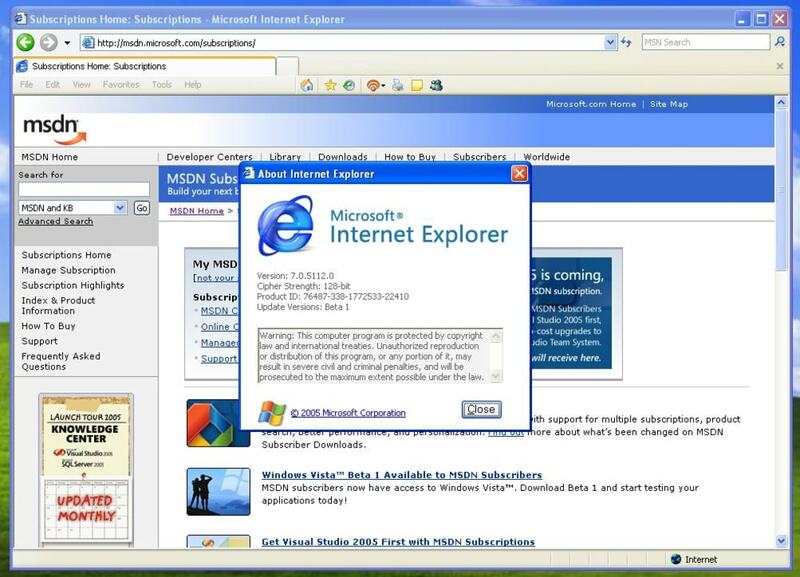 Internet Explorer 7 can deliver the latest updates from your favorite sites to you. Subscribe to RSS feeds through Internet Explorer 7, and get instant access to personalized sports, news, and shopping feeds that keep you up to date on the latest information online. Search the Internet directly from the browser frame using your favorite search provider with the instant search box. 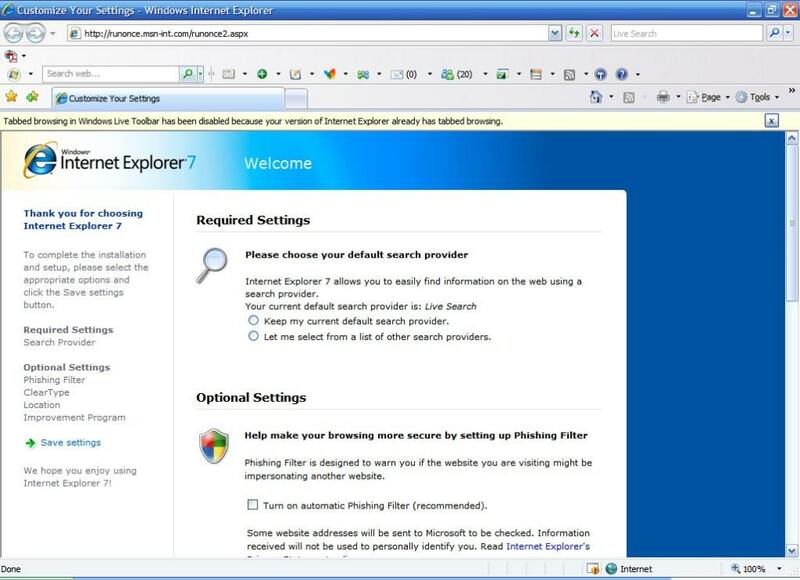 Robust new Internet Explorer 7 architecture and improved security features help protect you against malicious software, and help to keep your personal data safe from fraudulent websites and online phishing scams. internet explorer is importart to have. internet explorer is the best program in my computer that is important to have it. 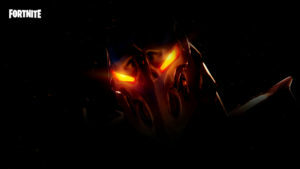 Pros: i like most to downlod internet explorer in my computer. 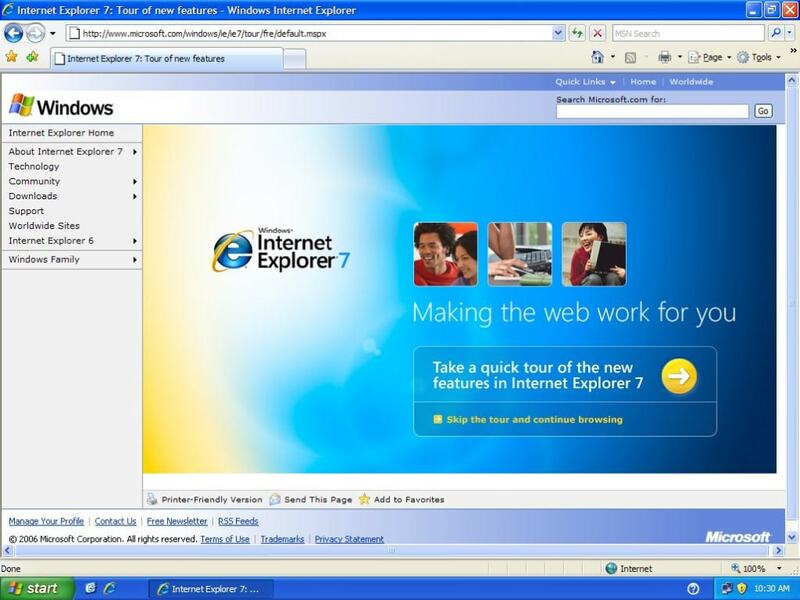 What do you think about Internet Explorer 7? Do you recommend it? Why?